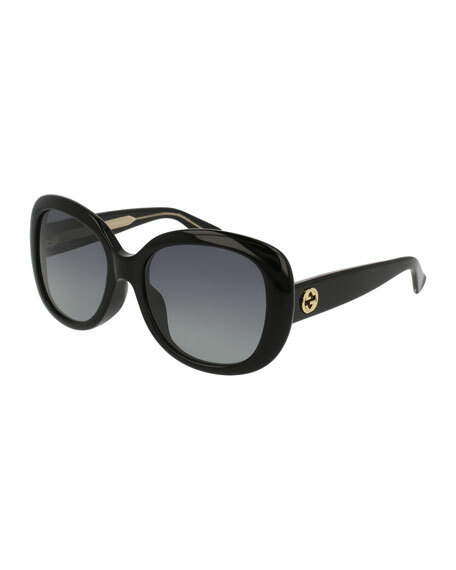 Gucci universal-fit butterfly sunglasses in acetate. Tapered temples with interlocking G detail. For in-store inquiries, use sku #2192956.